Women have some great sales skills that come naturally and a woman’s selling style is radically different from a man’s — and that could be an advantage for your company. Let’s face it: whether male or female, everyone has their own style when it comes to sales. It’s okay to be different. While the approach and the techniques may be different, the important thing is to be professional, be yourself and deliver results. In a former job, I was “informed” that I must follow a rigid script and procedure to be successful in sales. Most of my experience to that point was in administration and marketing, so branching off into a sales role made me somewhat nervous. Although the person coaching me meant well, this rigid script was not a technique that flowed well for me — and customers could not relate. After one (not very convincing) attempt, I decided to change my approach and simply be myself. I thought it would be better to approach people the way I wanted to be approached and, more importantly, to listen and follow up. This way of selling came much more naturally to me, and the results spoke volumes. selling styles, the basics of listening, following up with a customer’s needs and doing so with integrity, honesty and genuineness always work. These might be characteristics that come naturally to women, but they’re traits any sales person, regardless of gender, can use with success. Companies that capitalize on these tend to improve their own reputation. The “face” of the company can definitely make an impact. LinkedIn recently conducted a survey of female sales people over a 10-year span. The female presence in sales roles has increased from 36 to 39 percent, and women in the workforce has increased from 37 to 41 percent. 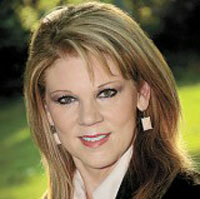 The HVACR industry, like many others, is in the midst of a workforce shortage. One way to address this is to actively recruit more women into the industry, in all areas — from administrative roles, to technicians and, yes, sales. 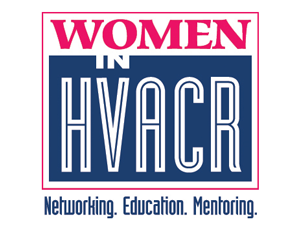 The Women in HVACR organization is strategically focused on increasing the number of females in the industry. We offer scholarships to females attending technical schools and universities that are working toward a career in HVACR. The organization is offering $6,000 in scholarships this year —an unprecedented amount we hope continues to increase each year. The HVACR industry is a great career choice and one that offers great diversity, especially in the sales role. Women have an incredible opportunity to make a difference and build a rewarding career.